Marcus Engman, Head of Design, IKEA was born in Älmhult, Sweden and started working part-time at the IKEA store during weekends while at high school. He never left. Now he is the brains behind the global team who produce the 4 billion items that IKEA sell each year. Engmanis on a mission to keep the 75 year old iconic Swedish company moving forward. He believes there is no design dilemmas that innovation can not solve. With projects ranging from 3-D printing to smart home integration and refugee housing, Engmanis ambitious in his plans to move IKEA beyond it's furniture retail roots. He's breaking new ground collaborating with some of the world's biggest brands - Adidas,Sonos,Lego- as IKEAmake the move into sport, music and play. 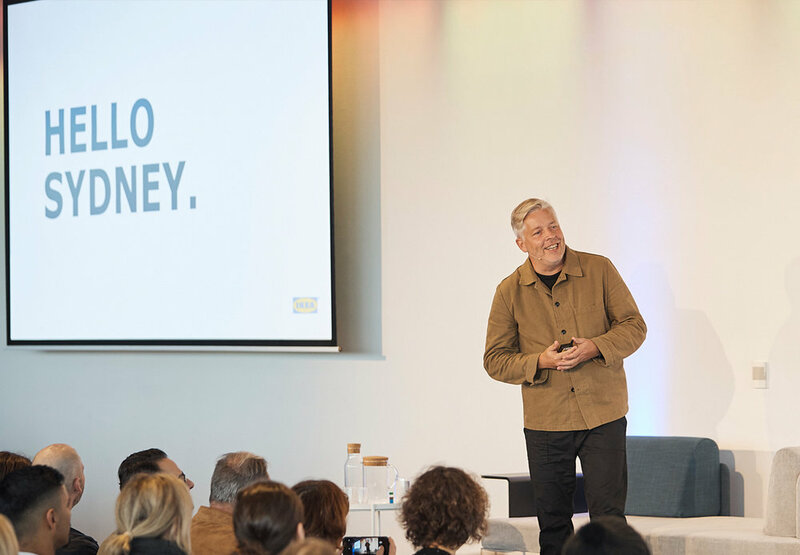 We sat down last week while he was in Australia for IKEA Democratic Design Days Expo- watch his fabulous keynote. Here, Marcus discusses the world's obsession with storage, social media and the secret to a happy marriage. 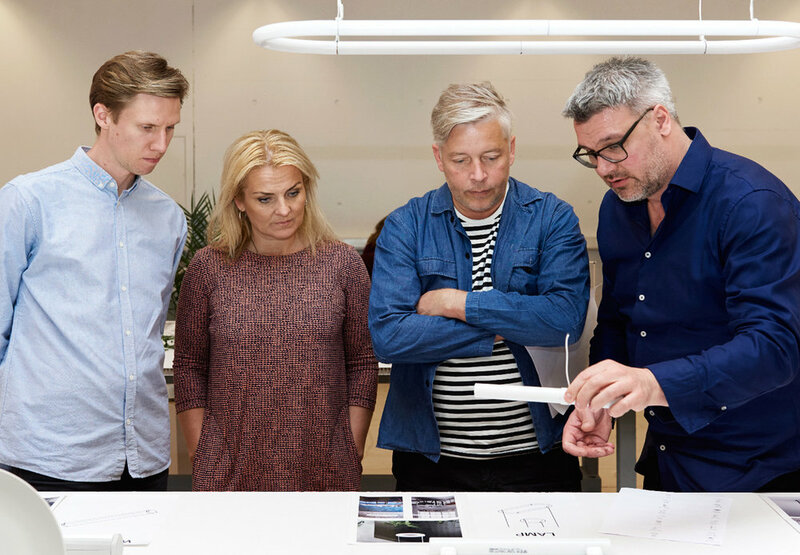 Q & A With Marcus Engman, IKEA Head Of Design. You sell almost 4 billion items every year. How do balance design with demand? All design at IKEAstarts in the same place. Everything should have a great form or function for everyday life. It should have a quality that stands the test of time and must age beautifully as well. Our products should be made in a sustainable way and then it has to be a low price to make it accessible. To make it IKEA. Where do you go, what do you do when it comes to finding inspiration for the next IKEA thing? I travel and I try to be open minded. Always. I talk to people wherever I am and am open to their views and thoughts. For me creativity must star with fulfilling a need or solving a problem. Has social media influenced your design process? It's made us research in a different way. It's also become a new way for us to do home visits. If you browse Pinterest and Instgram you can 'virtually' see into people homes and lives. Social media allows us 'visit' many more people and see how they live. This makes our products better. What do you think about the IKEA hack movement? Personally, I love them. And what it tells us is that the people who are doing them have a relationship with both home furnishing and IKEA. It's beyond just buying product. From time to time we find something special in the hacks and we take it in-house and might use it as a starting point for different thinking. I have one that is really, really ugly but I find it very funny. They have taken a round table, put a whole in the middle of it and then taken the IKEA Antilop High Chair and put the chair in the hole. So you can put your child in front of you when you're feeding them. Rather than on the side. I love the simple thinking in this hack. You are forging ahead with collaborations, combing high-end aesthetic with IKEA practicality and function. What is the thinking behind working with brands such as Byredo and luxury designers like Virgil Abloh. We approach all of our collaborations the same way: by solving a design problem that we find particularly interesting. With Virgil, he happens to be a designer who works in the luxury but we share the same interests when it comes to consumer experience and that doesn't have anything to do with cost. IKEAare great furniture producers but we can't be the best at everything so it's important to call in specialists to continue to grow. That's why when we thought about sport we thought about Adidas.Who knows kids better than Lego? IKEA just turned 75. Your customers range from 0-100 years old. How do you make them all happy? More than 50 per cent of our products are about storage - that's the biggest problem in the world and that problem has no age barrier. That combined with basic, minimal design - which is very Scandinavian - and can be blended in anywhere are the core of the business. Then other we try and diversify and offer different pieces with our collections to attract new customers and inspire the ones we have. What period of design has influences you the most. Late 60's to early 70's. This moment in time changed the world in many ways. It was when kids (teenagers) suddenly became important and influenced real innovation, particularly in Europe. I love Joseph Colombo- he had so many great thoughts and was a real future thinker. Your design philosophy on a bumper sticker. You're not jut successful in design but also in love. You've been married for 25 years - I'm curious about your secrets for happiness? I have never thought of it to be honest but I think it's to be respectful. We are respectful of each other. We have never shied away from a fight. You see friends who divorce who you thought were happy but we have been fighting since day one and we're happy about it. And because of it. And I have to ask...your favourite Abba song? Dancing Queen. It is a perfectly written song. I'm very interested in music and if you're fascinated by the way a song is constructed then this is the one. It's incredible. How Long Does It Take To Make A Water Jug? If your the IKEA 365+ water jug the answer is four years. "It's such a simple thing but it took three years hard work and four designers — that’s the effort we put in to our designs." said Engman. Like allIKEAproducts it started with a question: what do people want from a water jug? Feedback told them that customers liked to store water in the fridge, so they began by measuring every fridge door in the world to ensure a universal shape and height. Then they turned their attention to how it would be cleaned after usage. So they made the bottle dishwasher safe with an opening big enough to let it be cleaned all the way to the base. The glass is recyclable, so is the stopper which is made of cork. It looks fabulous and it's practically free.